Sometimes we sign into Gmail from a public PC and forget to sign out, an alternative way to avoid unauthorized activity on your Gmail account without changing password is to sign out remotely from another device. 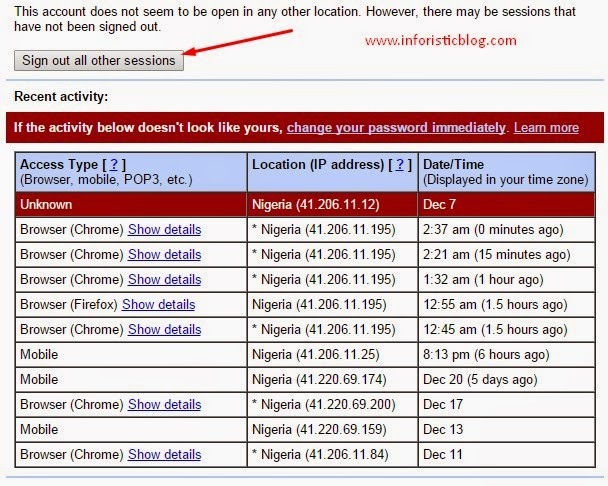 Google takes protection of Gmail users very seriously and that accounts for the reason why they have provided a system of logging out all active sessions with one click. Here's how to sign out your Gmail remotely from any device. 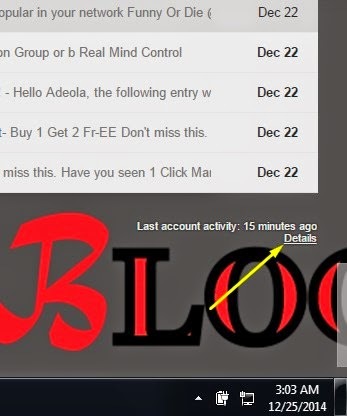 STEP 2: From the pop-up window, you will be provided with all the login details on your Gmail, just click Sign out all other sessions as seen in the screenshot below. I hope you enjoyed this tutorial, take few seconds to share it. Your comments are highly welcomed.